Snoopex Computer Repairs is a locally trusted computer supplier and repairer throughout Wollongong and surrounding areas. With exceptional experience in computing and over 20 years in the PC repair and servicing industry, you can feel confident that every detail of your PC repair or custom PC build with Snoopex Computers. At Snoopex Computer Repairs Wollongong we custom build gaming PCs to any order and specification, so whether you're an avid gamer that needs high end graphics processing, a programmer that wants to be able to run a lot of memory and cpu intensive applications simultaneously, or a casual everyday user that just wants to surf the internet and use email, we can build a custom computer tailored for you with exactly what you need and nothing you don't. We source all of our components directly to get the absolute best prices, so even if you're about to buy a new computer elsewhere I challenge you to check our prices for a comparison first. All of our PCs and components are covered by manufacturer warranty the same as if you pay more for it at a department store. Below are some examples of the recent work we've done in Wollongong and the surrounding areas. A client in Port Kembla just south of Wollongong contacted me about getting a new custom PC built, he planned on using the computer for video and photo editing with Adobe Premier and Photoshop, as well as some online gaming and general internet use such as browsing, email, youtube, facebook and other social networking websites. His current PC was almost 10 years old and no longer able to keep up with the demands of the software he was running, it was frustratingly slow for video rendering and very choppy with online games. Below are the specs of the machine that I built him, it's quite a high end computer for smooth online gaming and fast video editing. Snoopex Computer Repairs provides IT services to all of Wollongong and surrounding areas including Port Kembla, which is a suburb of Wollongong located a short drive south of the Wollongong CBD along Grand Pacific Drive / Springhill Road. 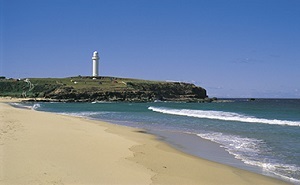 Part of the Illawarra region, Port Kembla has a seaport and small harbour nature reserve, an industrial area, small commercial district and the Port Kembla Golf Course. Further south of the area is Windang while to the west are Warrawong, Lake Heights, Berkeley and Unanderra, while bordering the north of the suburb are Figtree, Coniston, Cordeaux Heights and Wollongong itself. I picked up a damaged external USB hard drive from a customer's house in Woonona who had contacted me after one of their kids had dropped the drive and it was no longer showing up on the computer and was making funny noises when they plugged it in. They lived just off Grand Pacific Dr not far from Woonona Beach just up the road from Wollongong. The hard drive contained mostly family photos and videos, many of which were the only copy so the customer was very worried that the photos may have been lost. Data recovery from damaged hard drives isn't always successful and depends on how badly the drive has been damaged, fortunately in this case I was able to recover over 90% of the data and copy it over to a new hard drive for the customer so they were extremely relieved. It's highly recommended to keep at least one backup copy of any important data you have, especially irreplaceable data such as family photos and videos, but also important business documents, contracts, warranties etc. Hard drives can and do fail at times, not only from accidental damage but also from hardware failure due to no fault of the user, having a backup copy gives you piece of mind and means you don't have to worry if one of the kids drops the usb hard drive on the kitchen floor. Snoopex Computer Repairs services all areas of Wollongong including Woonona and surrounding suburbs, Woonona is a small suburb of Wollongong and located a few kms north of Wollongong CBD if you take Memorial Dr along the northern Illawarra coastal plain, it's connected to the rest of the surrounding areas by train with Woonona Station on the South Coast Line and by car using the Princes Highway. Just to the North of Woonona are Bulli, Thirroul and Austinmer where Snoopex Computer Repairs have been happily providing service for over 20 years, and to the south are Russell Vale, Bellambi, Corrimal and East Corrimal where we've also fixed and upgraded many PCs over the years as well as rescued hard drives and built plenty of custom computers. I had a call on a Sunday afternoon from a customer who had forgotten the password to their Windows 7 PC, they were located in Mount Ousley just off the Princes Highway north of Wollongong. He asked if he could bring his computer over to have the password reset because he needed access to his files the same day. I told him that's no problem and that I could have his password reset within an hour and have him back online quickly, so he brought around his computer and I reset his Windows 7 password while he waited. The customer was extremely happy with the prompt service (especially on a Sunday) and how quickly I resolved his issue. The method used to reset the password utilises features built into the Windows operating system and doesn't involve installing any third party software so it's completely safe. Our "forgot password" service is available for all versions of Windows including Windows 7, Windows 8 and Windows 10 (and even XP and Vista). The owner of a small business in Bellambi called me in a bit of a panic because the Windows 8 computer that they used to run their day to day business suddenly wasn't starting anymore. The business was located just off Memorial Dr in Bellambi a few minutes north of Wollongong. He brought his computer around to my workshop and it turned out to be just a problem with his power supply, which is commonly the cause when a PC isn't booting up at all and pressing the power button on the tower does nothing. I replaced the power supply with a new one that I had in stock and had the computer fixed and up and running again within about half an hour while the customer waited. A small construction business located in Unanderra, Vision Patios & Enclosures, is located on Prince Of Wales Avenue Unanderra NSW and has been a corporate client of mine for many years. I setup their original office LAN (Local Area Network) over a decade ago which consisted of a Microsoft Windows 2000 server for managing tasks such as user account management, file and printer sharing, and a handful of Microsoft Windows XP workstations used by staff to run the day to day business using accounting software, Microsoft Office software such as MS Word and Excel, browse the internet and send/receive email. Since then I've been maintaining every aspect of their corporate network, including repairing computer issues with both hardware and software, configuring wifi networks and routers, resolving internet connectivity issues, virus and spyware removal to fix "pop-up windows that just started appearing", and occasional data recovery when data was corrupted due to software errors or hardware issues with a physical hard drive, USB stick or other attached media. They recently decided to update all workstation PCs to Windows 10 and upgrade all physical boxes with extra RAM and faster CPUs to handle the demands of running new software or having multiple applications open at the same time without the computer running slowly or freezing due to maxing out the CPU or running out of memory. Over the course of a week I upgraded the each computer's hardware with additional memory and a faster CPU, and updated the operating system of each PC from Windows XP to Windows 10. I upgraded each computer one at a time to minimise the impact on Vision's day to day operations. Before updating each computer I backed up all of the data on the hard drives and made a ghost image of each machine's state to ensure all data was safe and that the data and software could be completely recovered if necessary. After successfully updating each PC's operating system to Windows 10 and installing the extra RAM and processor, I reinstalled and tested all required software to check compatibility with the new operating system. Once all software was working correctly on the local computer I reconnected it back to the corporate local network, connected it to the internet and gave a brief training session to each user on how to navigate around and use Windows 10 to perform the same tasks they used to on Windows XP, e.g. running accounting software, sending email and browsing the internet.